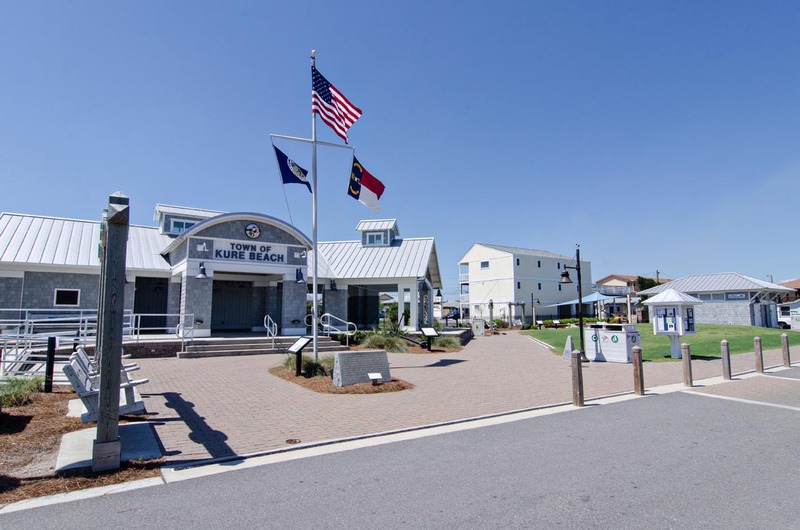 Beach Times is located in Kure Beach and is about 1 mile from the NC Aquarium, Ft. Fisher Civil War Museum, and Kure Beach fishing pier. Single family house with it's own walkway to the beach ! 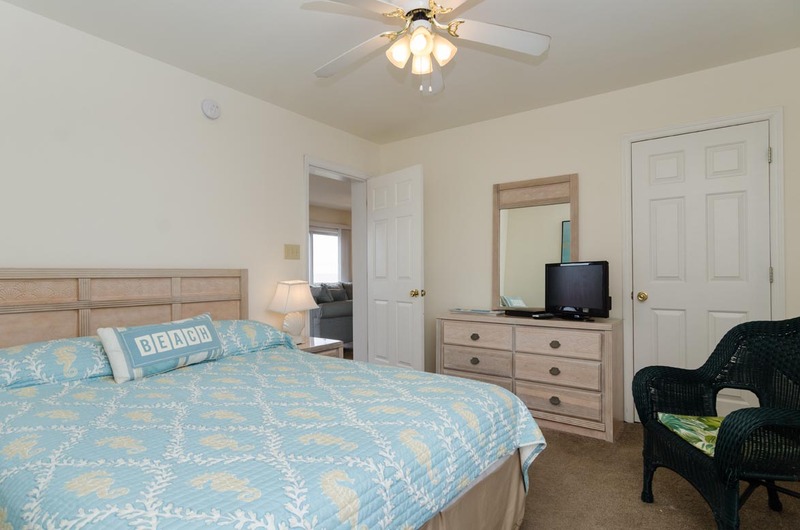 If you just need a couple bedrooms but don't want to stay in a complex - this is for you ! 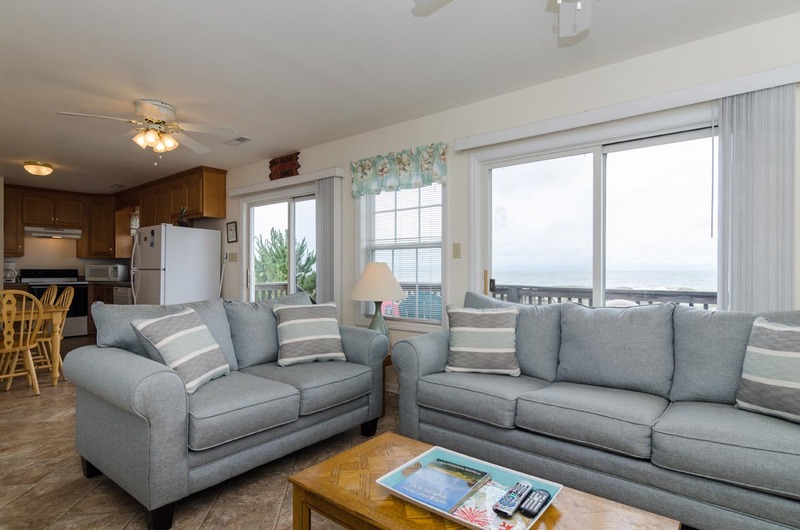 This 2-bedroom, 1.5 bath oceanfront home is perfect for a couple or small family. 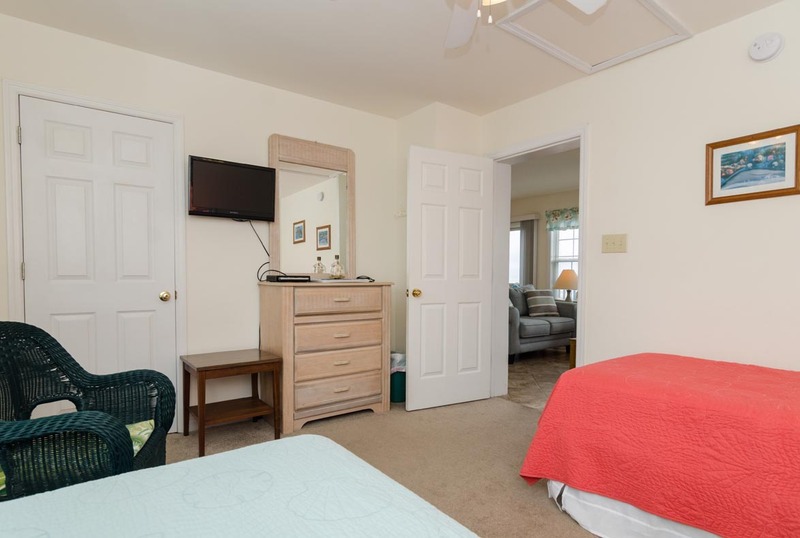 Main bedroom has queen bed and private half bath. Guest bedroom has 2 twins. 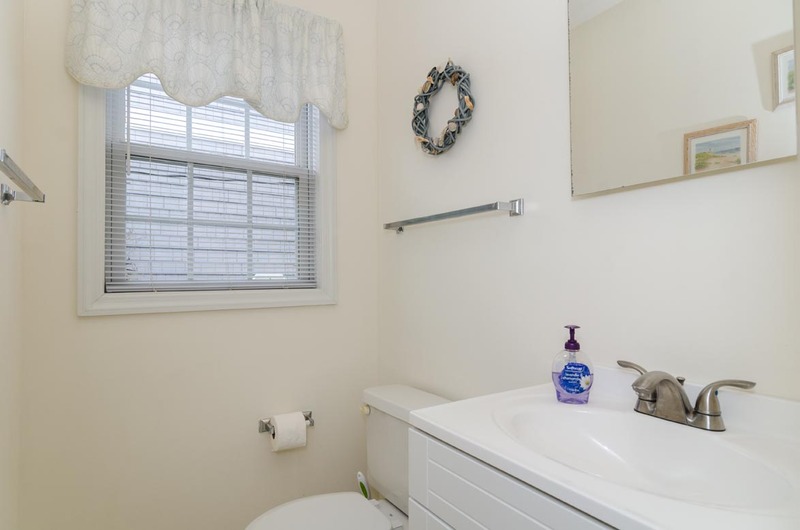 Main bathroom is just off kitchen area. 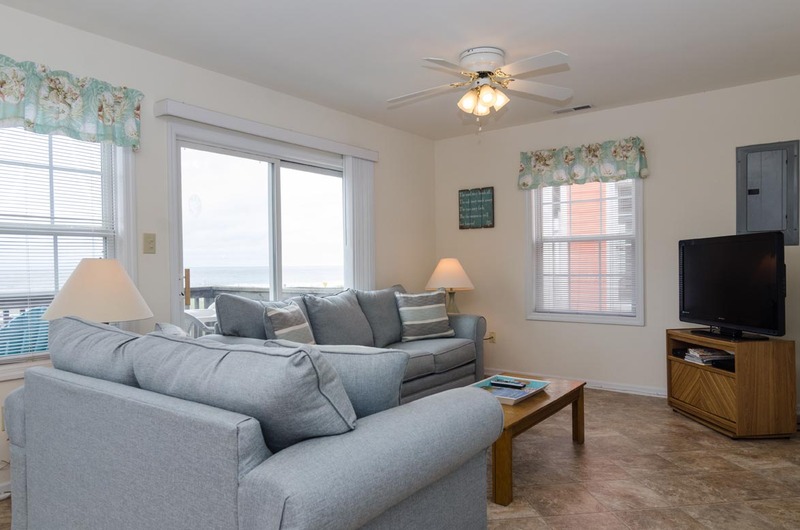 Just off the kitchen and living room is a large oceanfront deck for sunbathing or outdoor dining. 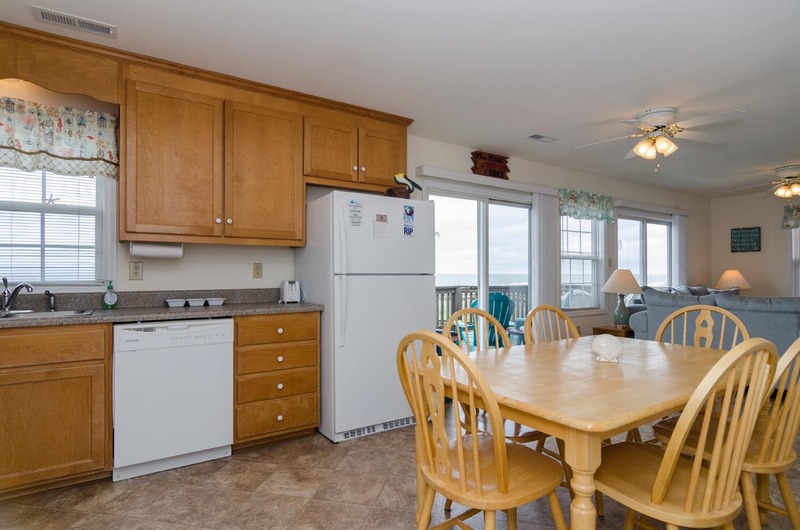 The kitchen, dining area, and living room are oceanfront and have nice views of the Atlantic. There is a private walkover to the beach and an outdoor shower. WiFi. Sleeps 6. NO smoking and no pets. We enjoyed our weekend stay. 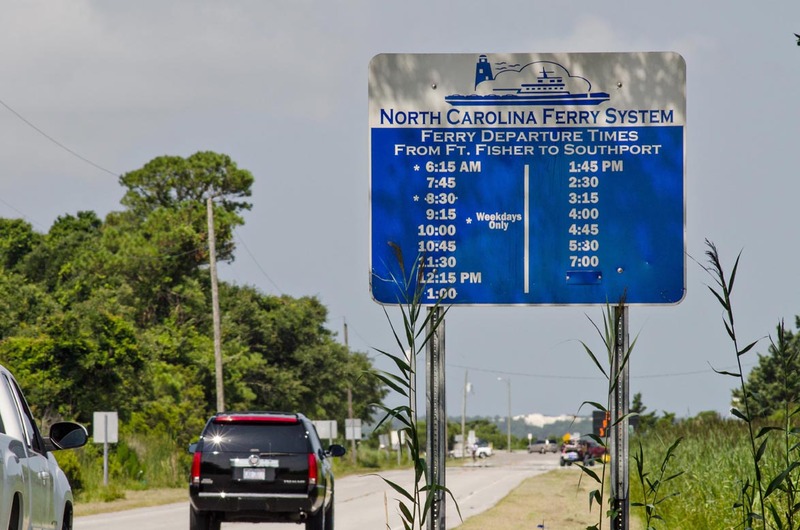 The ocean was secondary in our visit to see my nephew and his family who live in Wilmington. The house provided enough room and safety for a 7 month old. We will come back to Beach Times from now own. Carman, Thank you for your review. We're glad you had a good visit with your family. We look forward to hosting you again! 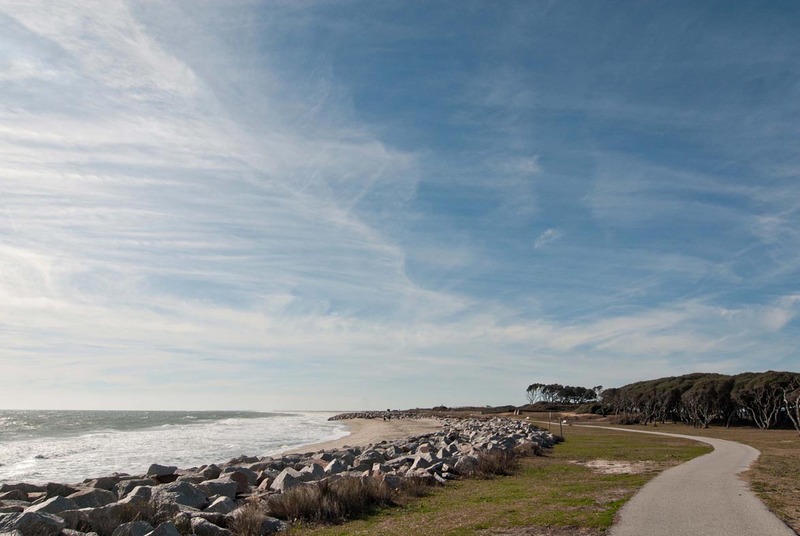 Stayed for a week at Kure Beach, NC right after Christmas. The property was directly on the beach and was EXACTLY what we wanted. The online interaction with Bryant Real Estate was wonderful: they were extremely prompt in answering all my questions. We will be back again, I can assure you. Thank you for your review. We are so glad you enjoyed the house and your stay. We look forward to seeing you next time. Great house for small family. Perfect location. Comfortable beds. Enjoyed coffee on the deck and fishing right in front of the house. I would recommend and stay again. This cottage was perfect for our little getaway. Right on the beach, gorgeous beach. Small house but has everything you need. A lovely walk down to the pier and some restaurants. Very clean and cozy. Just beautiful. My 4 year old is already begging us to go back. 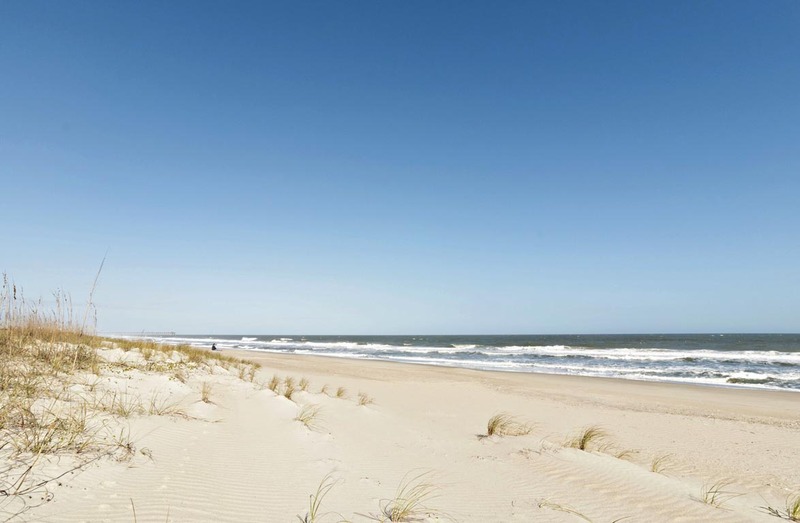 We will definitely look for this place next time we need a beach trip! GREAT Place GREAT Time!!! Thank You! Our little family had a great time at this vacation property. House was clean, comfortable, and adequately stocked with all necessities. We were able to walk or ride bikes to the Pier and convenience store. We will be booking this property again. You won't be disappointed. Pleasant experience with Bryant Real Estate. I would definitely rent again with them. We enjoyed the beach house and liked the location. Beach Times was perfect for our family of 4. 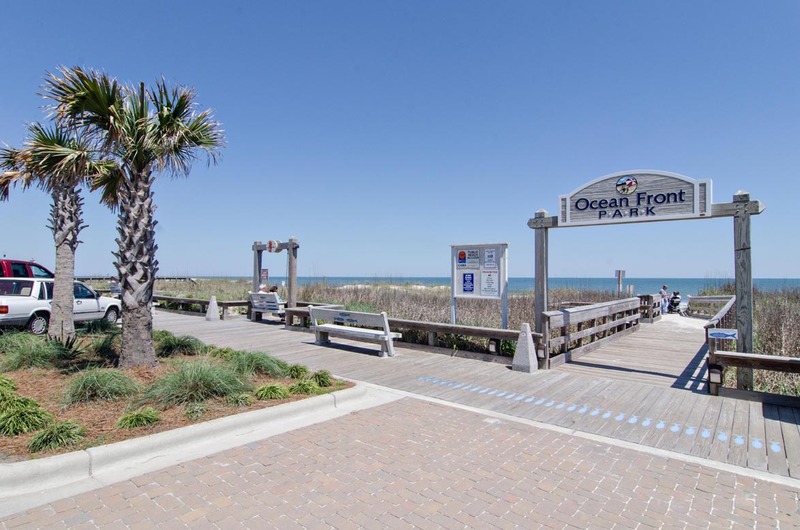 The location was great both being oceanfront and in its location in Kure Beach. The house and property was clean and well maintained. There were some ants that appeared on the second day of our stay but the maintenance worker took care of them very quickly. The ants never reappeared. I would definitely stay at Beach Times again. 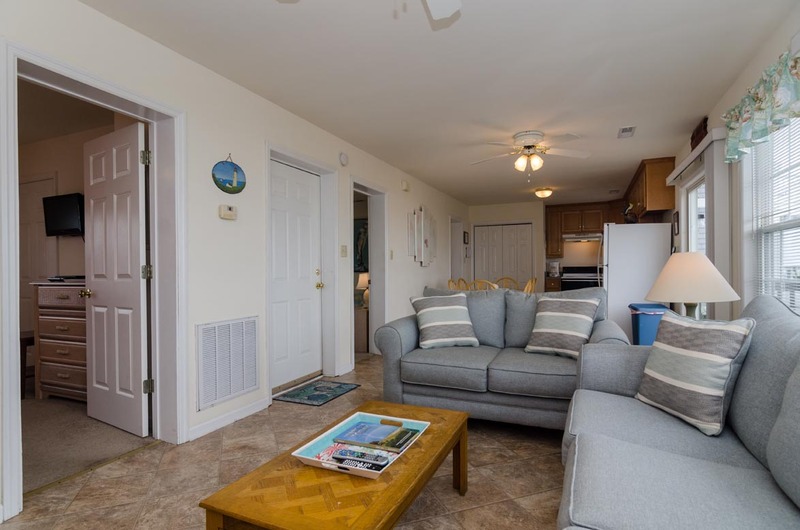 This two bedroom one and a half bath ocean front home is perfect for our getaway. It included linens and a washer and dryer. Very clean and practical with a walkway right to the shore. We walked along the beach to the pier and restaurants. Hope to stay here again next year. We vacationed with our three grandkids and really enjoyed it. It was somewhat difficult with five people and one shower but we made it work. Loved having a private walkway to the beach. It was not crowded on the beach although the public access was close by. I would stay here again. 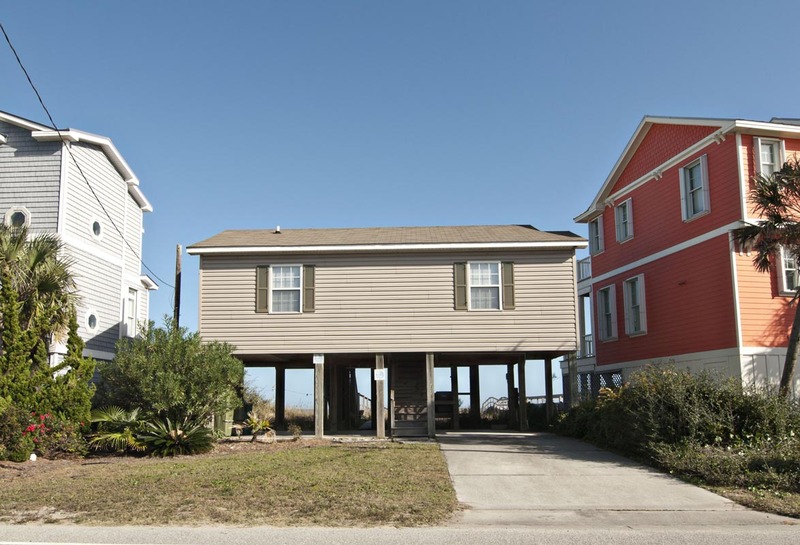 We love this house and this beach. This is our 4th time in this house and we never get bored of it! Our Beach Times stay was awesome. Great little house. The only problem we had was the weather but that's nature's call. The rental was a great deal. It's nice not to have to worry about cleaning and scrubbing on your last day there. They linen service was convenient also. Bryant rental agency was very helpful and courteous. We'll have to do it again. Cute small beach house with nice porch well equipped for four people. A place to relax! Best family home on the beach! 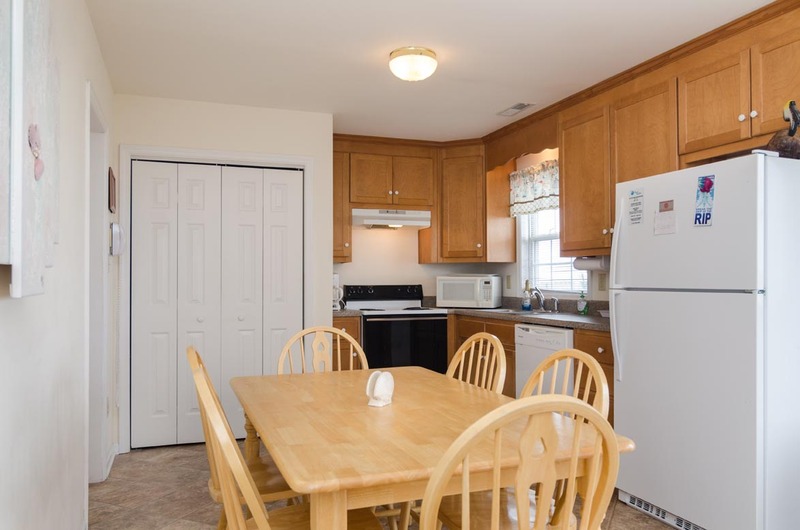 This home has what you need for a great family vacation! Our family of 4 has a hard time finding a quality home that has 2 bedrooms(most are for large families)this fit us perfectly. There were not a lot of frills, but it was clean(I always look at baseboards to see if a home is cared for)there was no dirt anywhere on the floor. 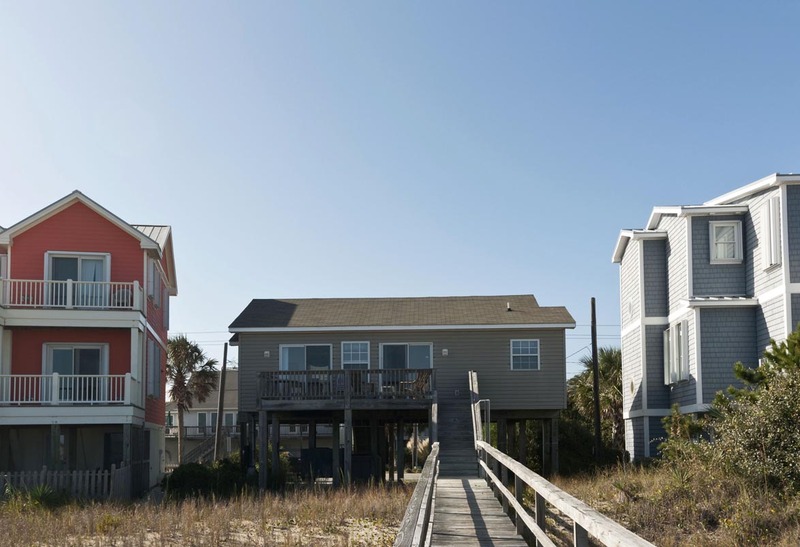 There are a few things that renters should know such as there is no WI-FI, one shower, and the public access is at the home beside beach times. The property deck and walkway could use a little TLC,but nothing that would get in the way of a wonderful stay. 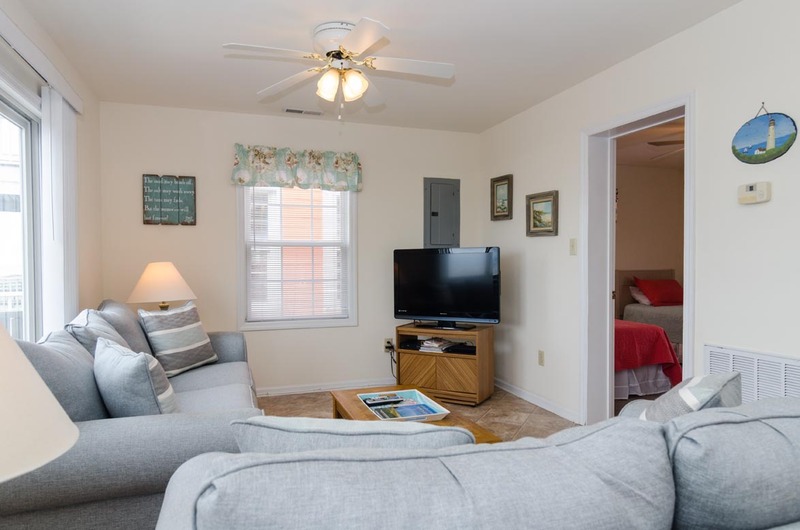 The view(inside and out)and the access to the beach, make it an great place to stay! The year I celebrated my 60th birthday with a week in heaven. I loved the experience of waking up every morning to the sound and view of the ocean. This was a staycation for us so we were able to have sleep over quests and also entertain for the day. We are hoping to return next year. We always love staying in this house at Kure. 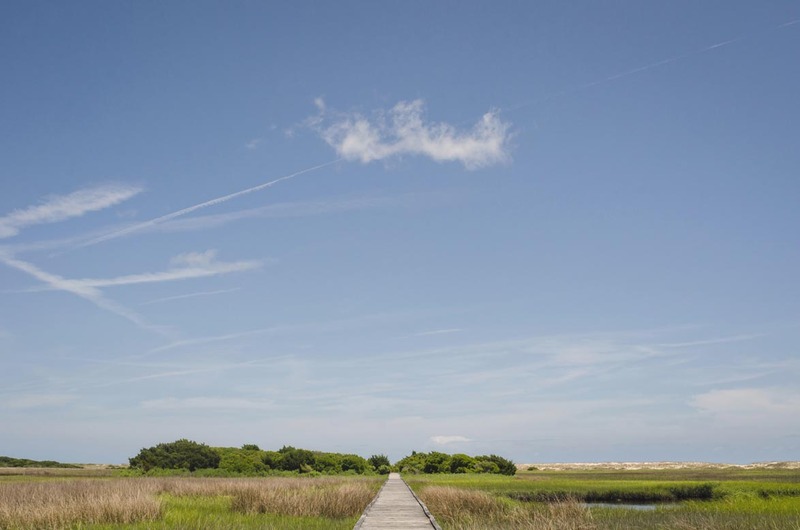 Lot's of great local attractions, good food and a nice relaxing atmosphere just to get away from it all with the family and relax. It's sort of become our home away from. Thomas- We are glad to hear your week at the beach was wonderful! It was clean with more than we thought.. There were 4 of us & that was a perfect size..
One thing that was neat was the washer & dryer!! Heavy duty commercial name brand!! We came home with clean clothes!!!! Also we loved parking under the house.. Kept it cooler. The TV was really nice too. No problem staying there again! And we really liked the way we were treated by you all..
Glad we got to use Bryant... Hope to use them again! Edward- We are glad to hear your week at the beach was great! Hope you'll visit again soon! We've stayed at this same place many times over the years and plan to again in the future. Overall we love the place and Bryant does a great management job too. On the flip side - it appeared to us to be in need of a deep cleaning and maybe a little updating. Many of the window blinds do not operate smoothly. The kitchen sink window is fogged up. The ceiling fans are filthy. We had to wash the bed spreads because they were dirty. The couches feel very dirty. There was a pile of cigarette butts in the sand filled pot at the bottom of the ocean side stairway. We hope these comments are helpful. We love this particular unit and plan to come back to stay at it again! Juan- Thank you for your feedback as we will follow up regarding mentioned cleaning concerns and address accordingly. Look forward to seeing you again next year! This small, oceanfront cottage suited my needs perfectly. Since I visited alone, the size was excellent, and the ocean access and view were superb. 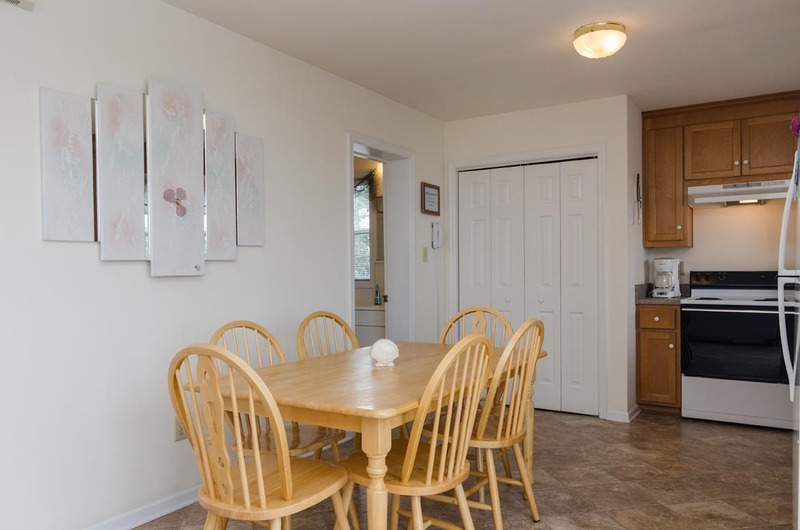 Very clean and well equipped, the cottage and its extremely convenient location can't be beat. The staff at the rental agency were cordial and professional, and they answered my communications very quickly. The business transaction was clear and smooth. I will definitely return to this location. Beach Times is ON the beach! 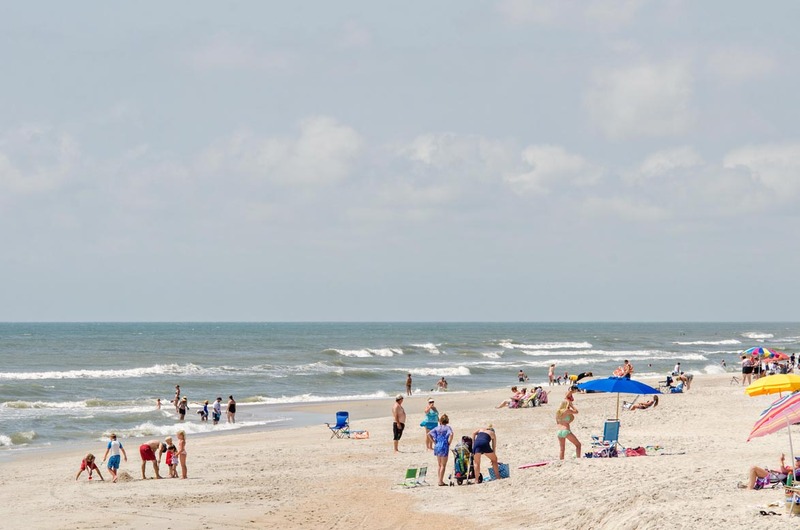 When you stay at Beach Times in Kure Beach, you are not at the beach, you are ON the beach! 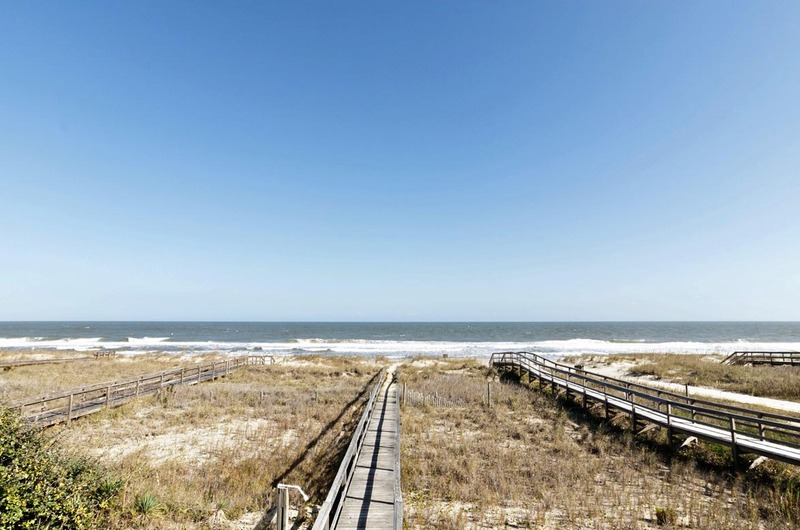 The view of the Atlantic is beautiful and you are a one minute walk to the surf! So beautiful, we never left the beach! The house is small with few amenities (not even a grill)but that made it affordable. This was a great week for our family of five! We had everything that we needed. The AC had some difficulty keeping up with the high temperatures but not a real problem. The view, access, comfort, etc. were spot on! We hope to return again soon! Beach Times was exactly what we needed. Sunrises on the deck, morning strolls down the beach, quiet area. We also enjoyed the arcade, the pier and Big Daddy's just down the beach. 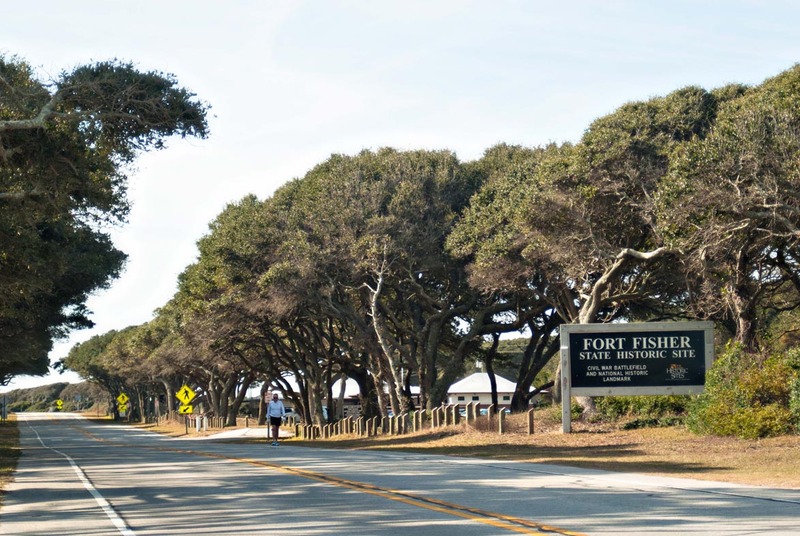 Fort Fisher and the Aquarium just down the road provided a nice balance to our beach times. We hope to be back soon. The house was just as described! 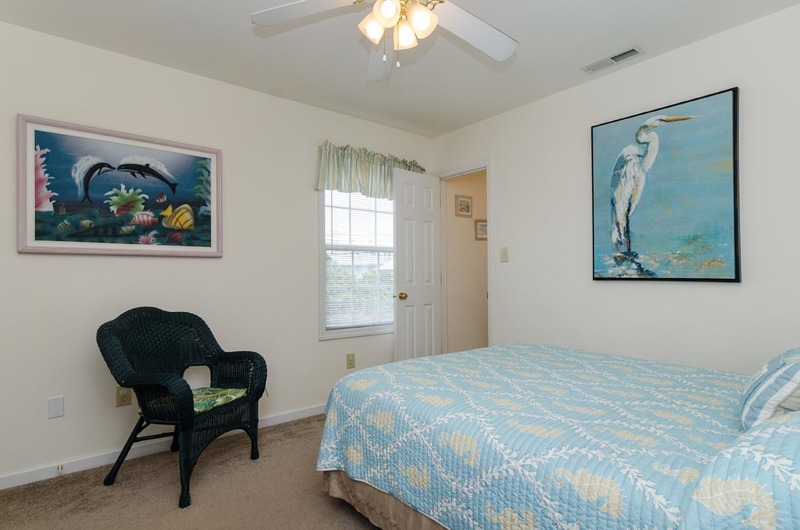 Beautiful ocean view, easy beach access,clean,comfortable,quiet. Would definitely rent this house again! We enjoyed staying in this little house right off Kure Beach. 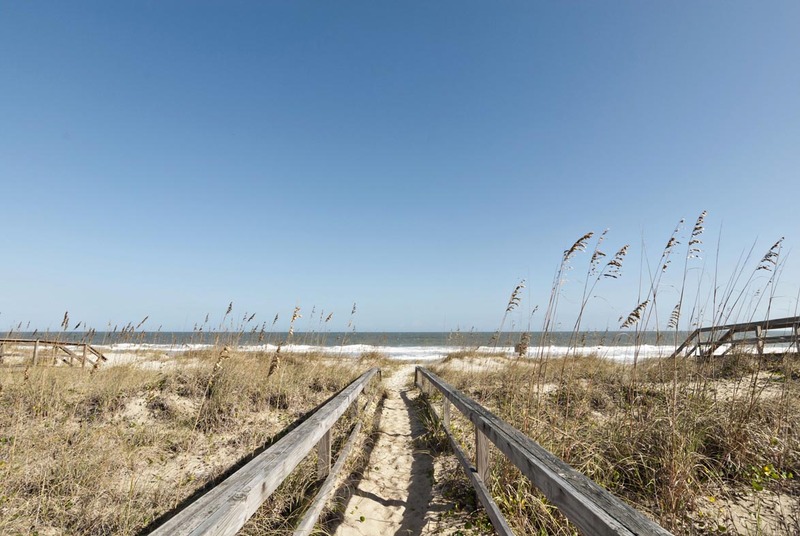 The location is excellent for beach access, especially with small children. While it needs some updating, the house worked fine for our needs. There were a few little annoyances (broken drain, extra charges for linens, no wi/fi, somewhat noisy frontage road). The property management company was very professional. 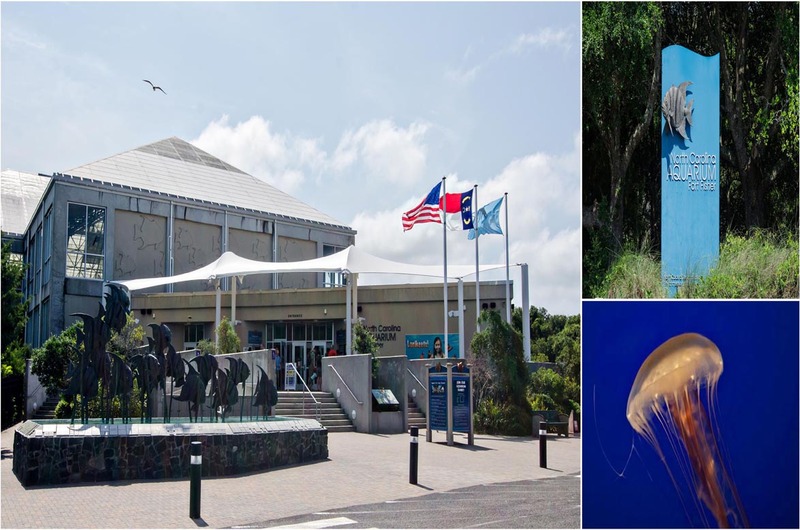 We also liked visiting the aquarium about a five minute drive away. All in all, we would recommend this place! We stayed at beach times with out family of five. 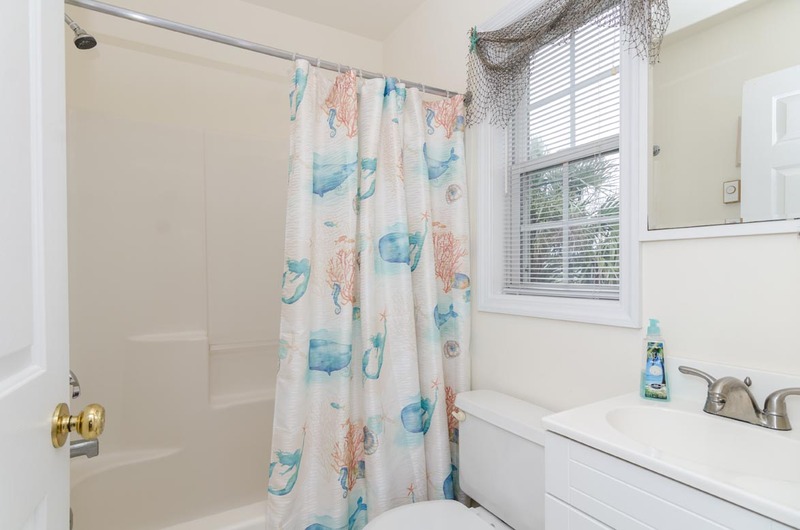 (3 young kids) It is small, yet clean with an excellent location! If I could suggest one thing, there needs to be more hooks to hang things in the bathrooms & bedrooms. I would stay here again! Great location. 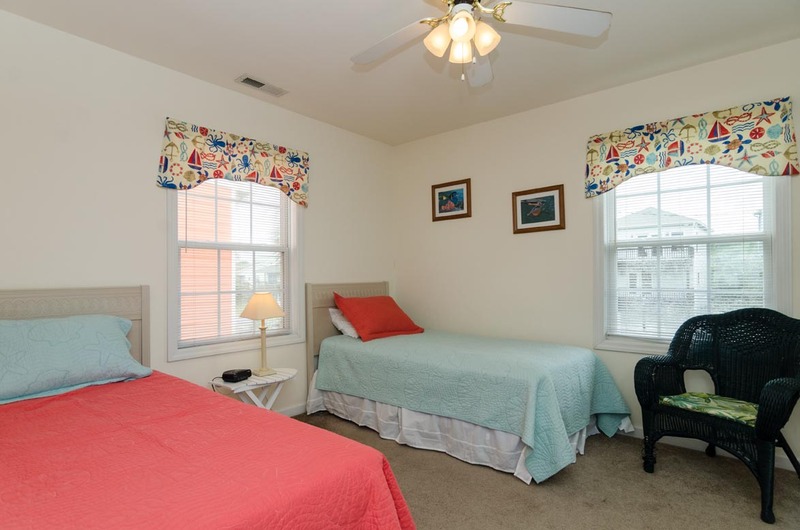 A little put off by having to bring our own linens, towels, and other items typically provided by a rental property. 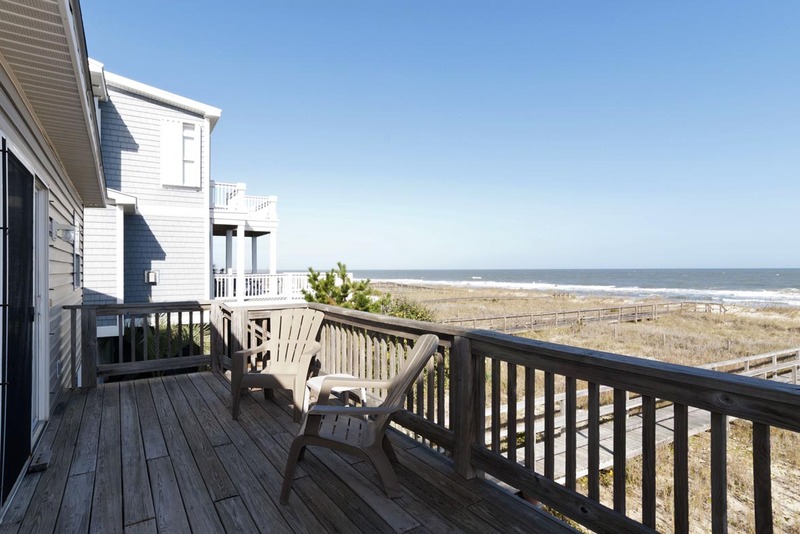 But that didn't prevent us from enjoying a very nice location, great beach, and nice house. Hey Cheryl - thank you for the feedback. We have been in business for 65 years, and in years past, linens were not included in stays to keep cost low. Many years ago we started to offer linens for rent - this allowed our guest that had been coming for years maintain a low cost rental if they wanted to bring their own linens. However in recent years, this expectation has been increasing. As a result we are working to including linens and the price of them in each rental. We look forward to being able to facilitate your next stay! We had another lovely stay at Beach Times. Even though it rained we had a nice time playing cards inside listening to the ocean and looking out to it. Perfect location. We'd love to own this property...if only! A few cobwebs and dusty corners but overall pretty clean and tidy. The new LR furniture is clean and comfy. We'd recommend this property to others, for sure. We'd also return again. Renting was so easy. The home was exactly as described. We were so impressed by the cleanliness. Thank you for helping us to have a great vacation! My wife and my 11month old booked this vacation and house last minute, and it was awesome. I highly recommend it for anyone who's doing a family vacation with 3-4 people. The house was perfect for us, the location was great.